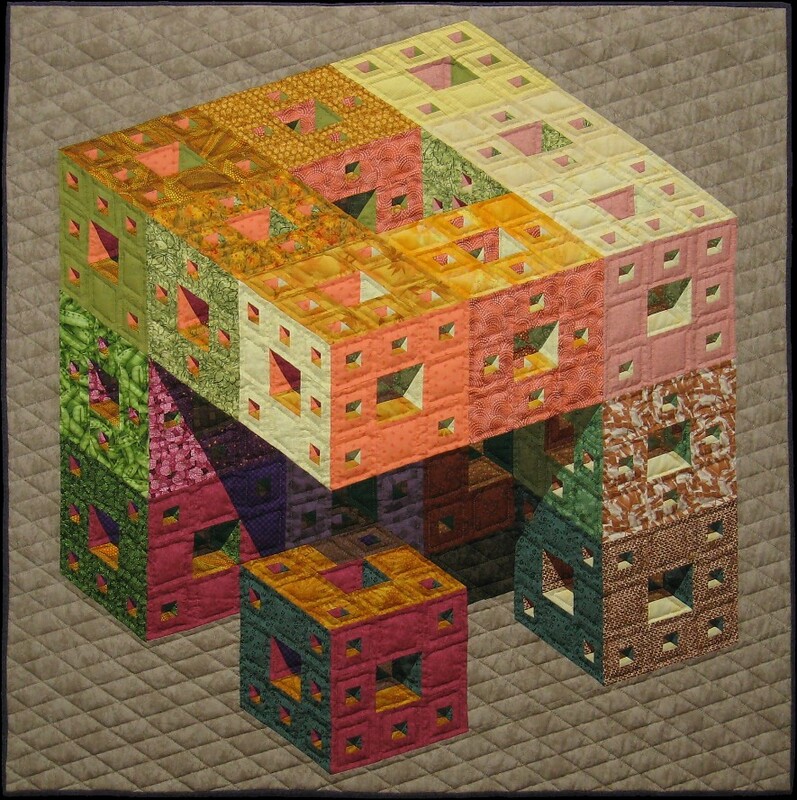 A packet of 6" squares led to this design. 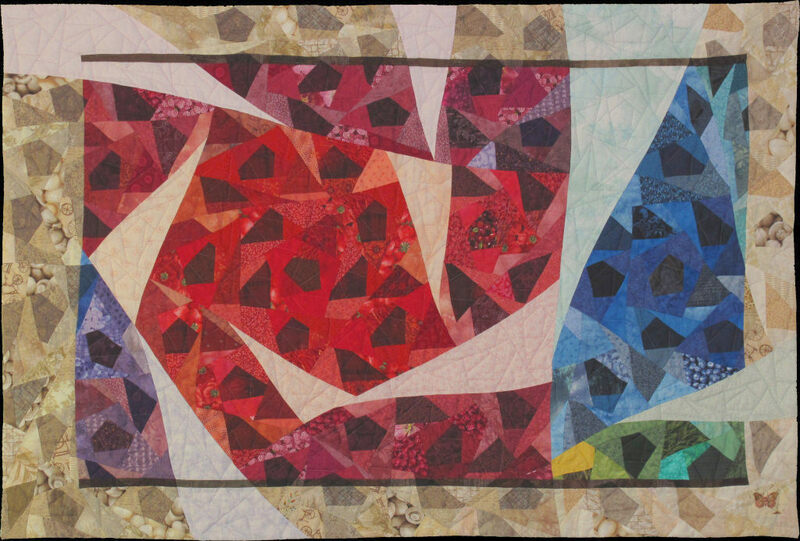 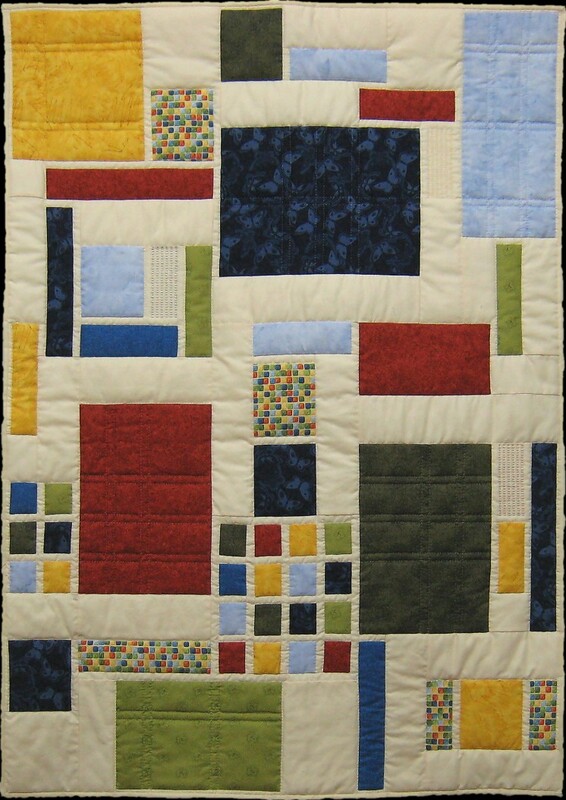 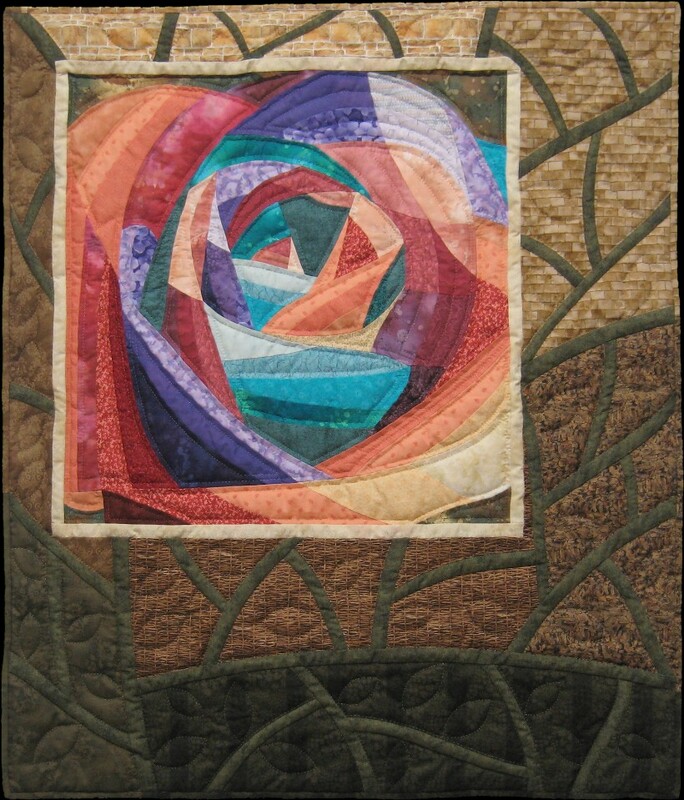 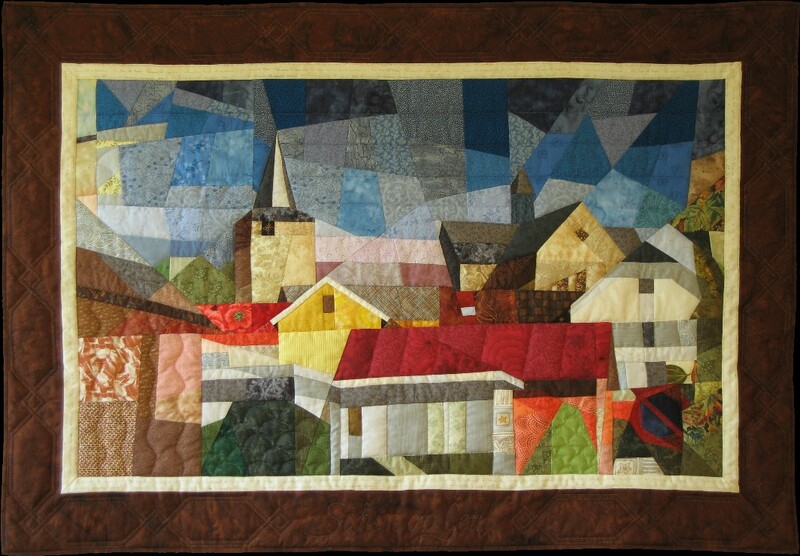 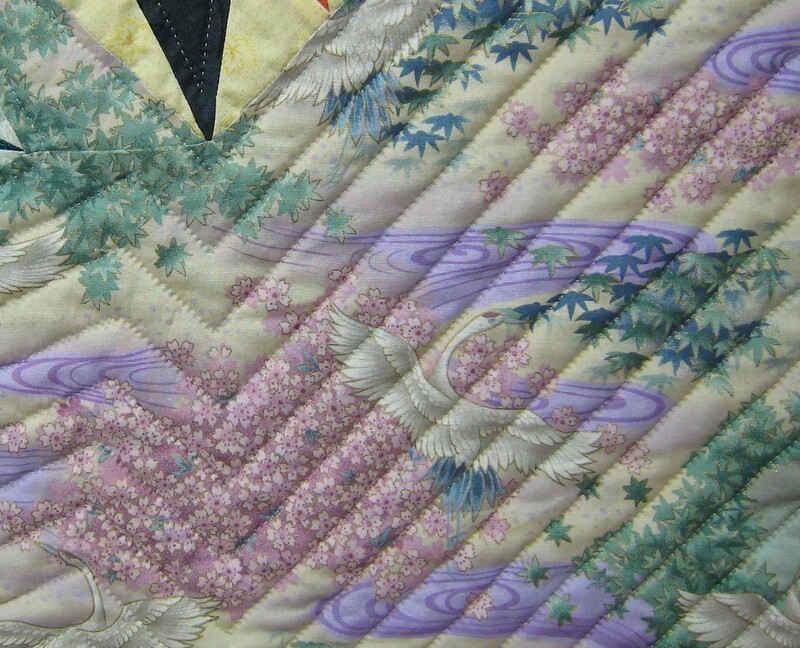 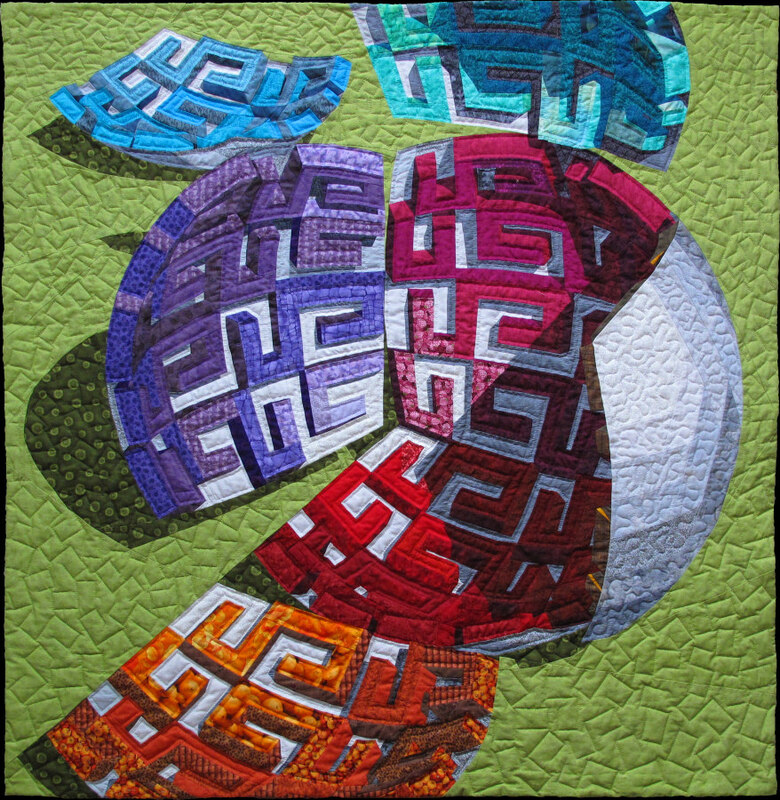 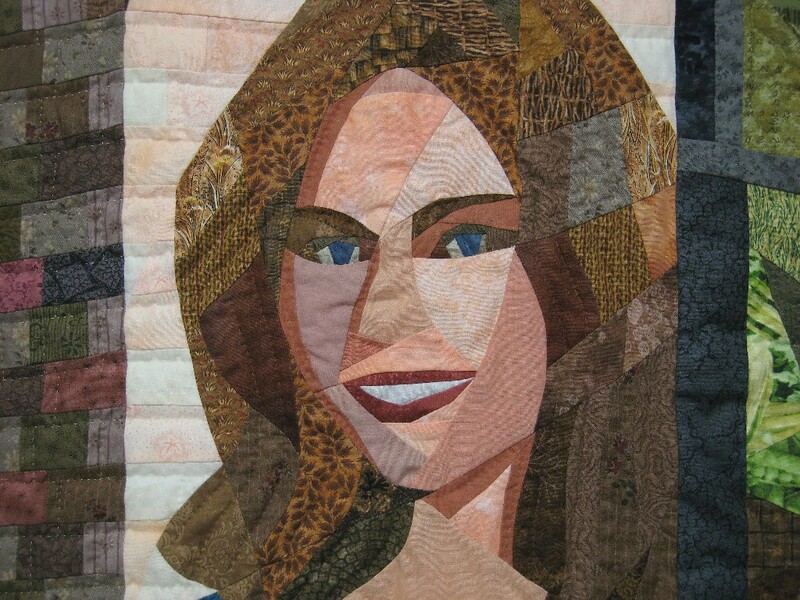 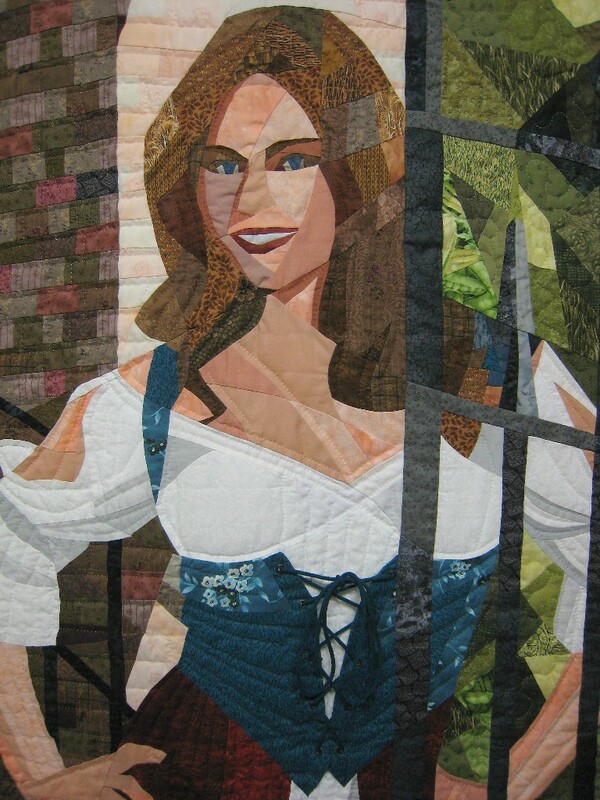 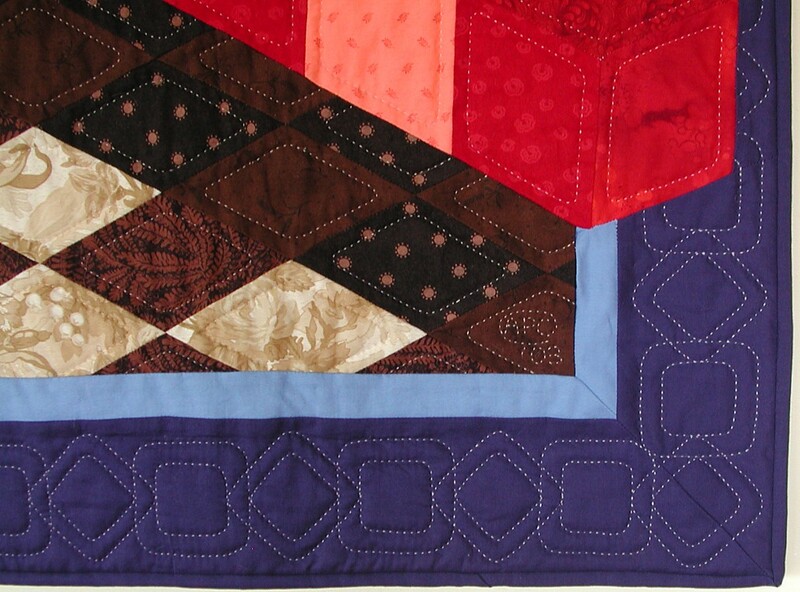 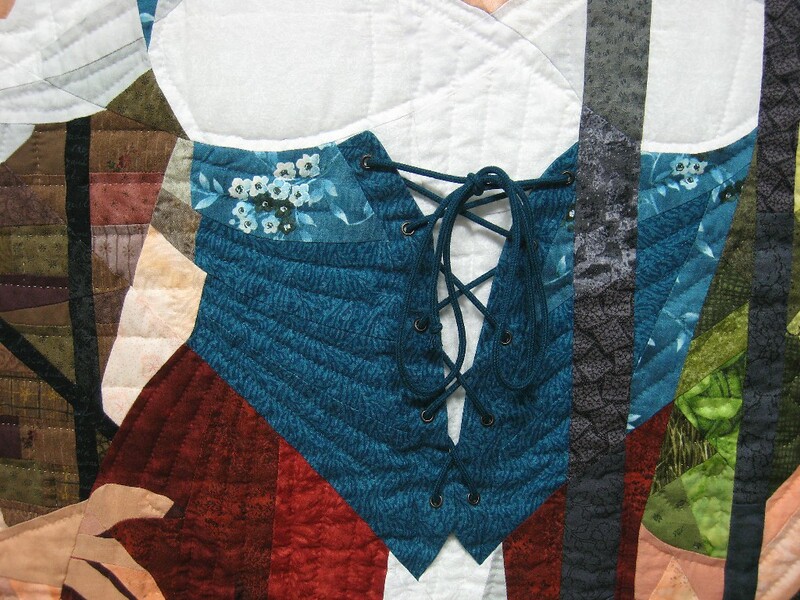 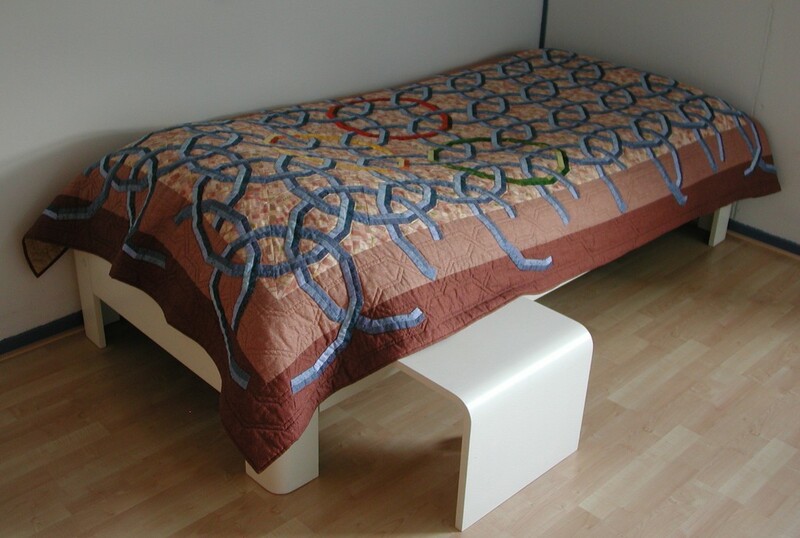 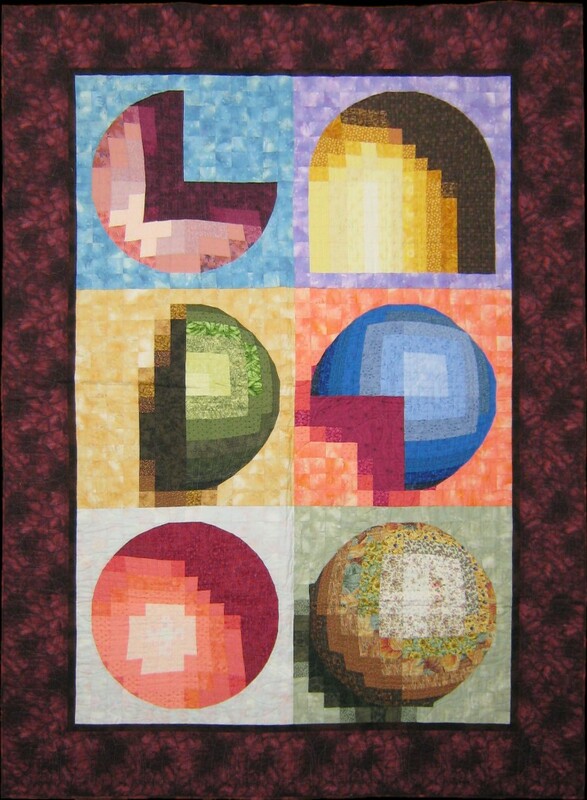 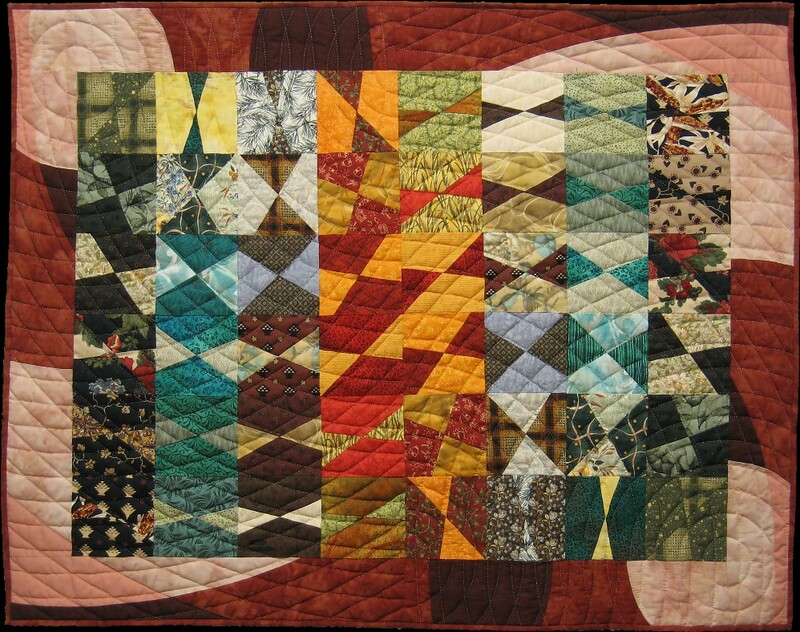 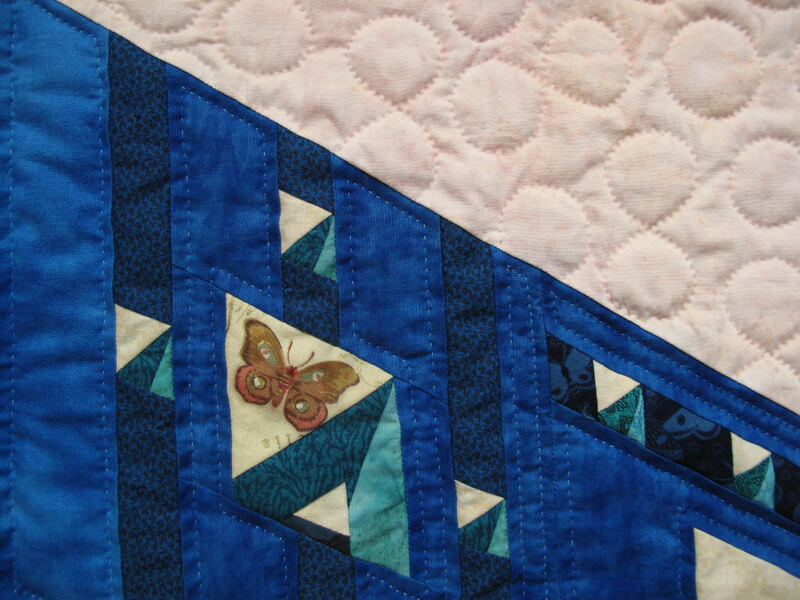 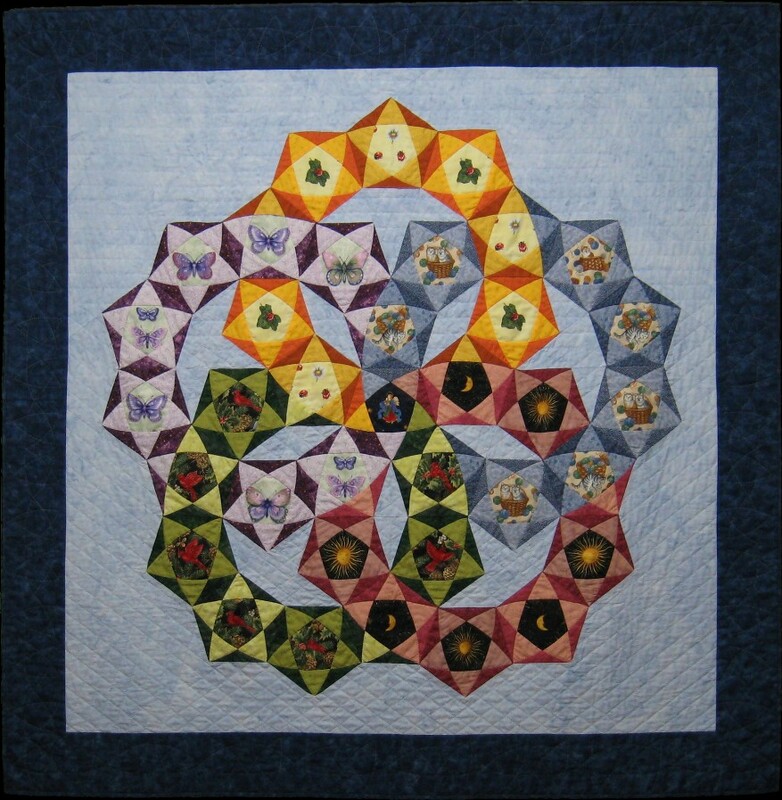 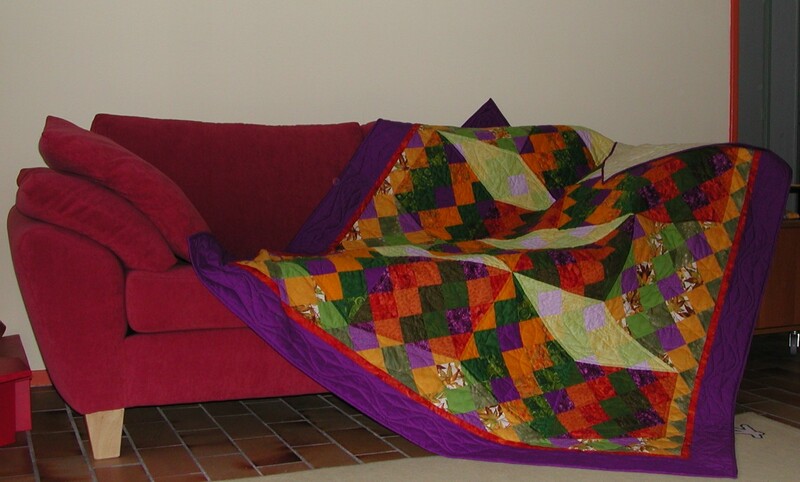 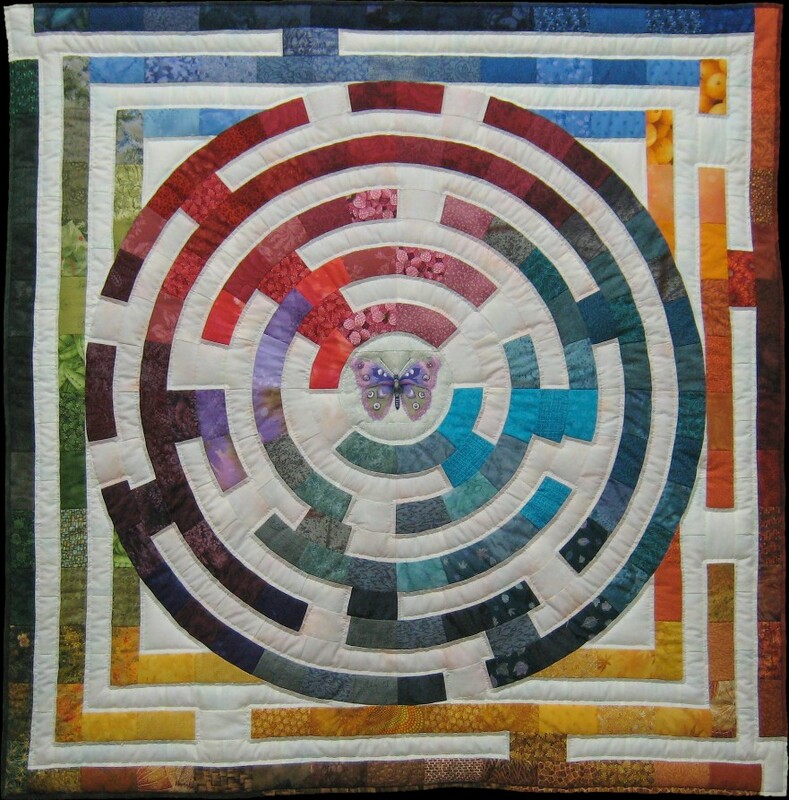 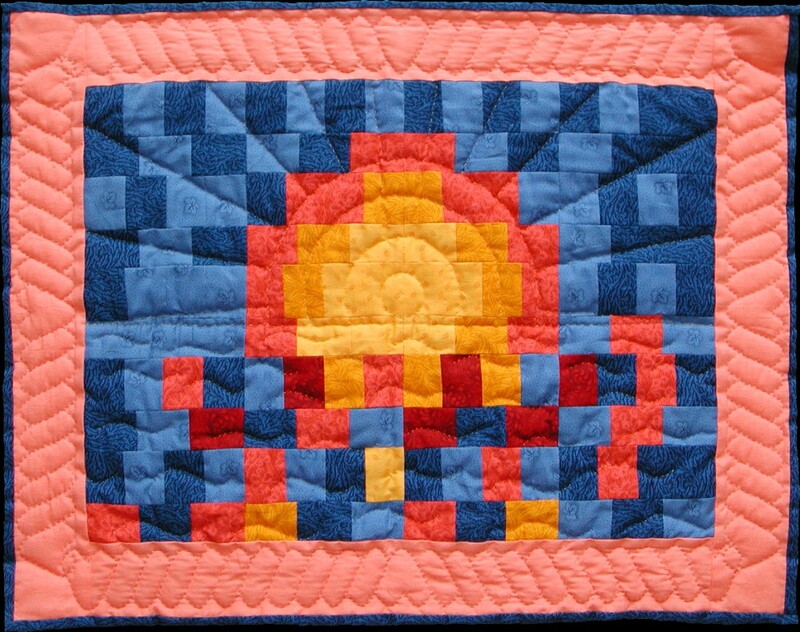 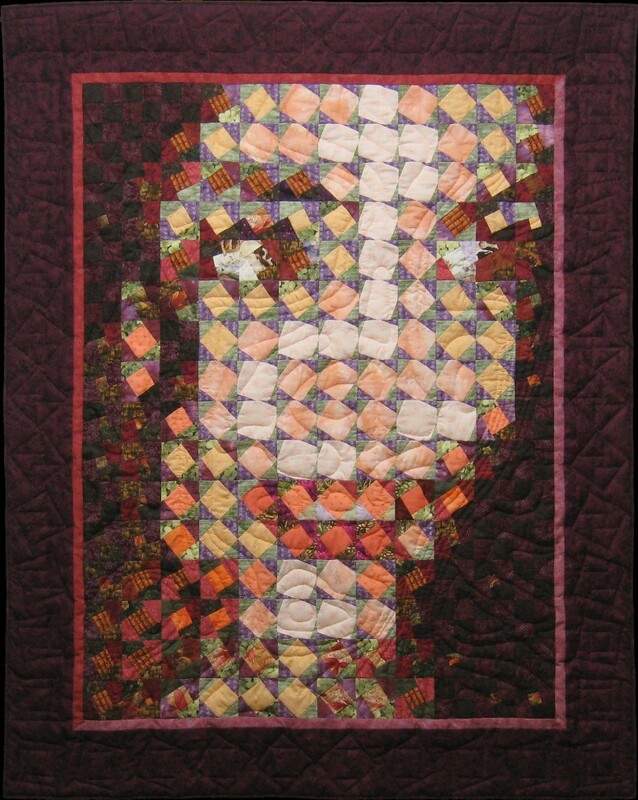 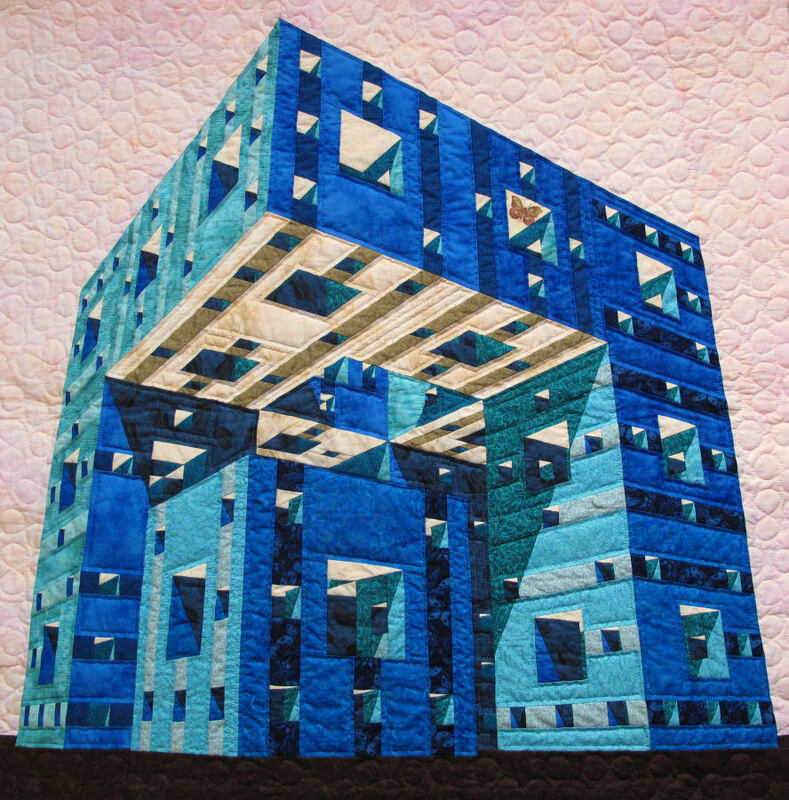 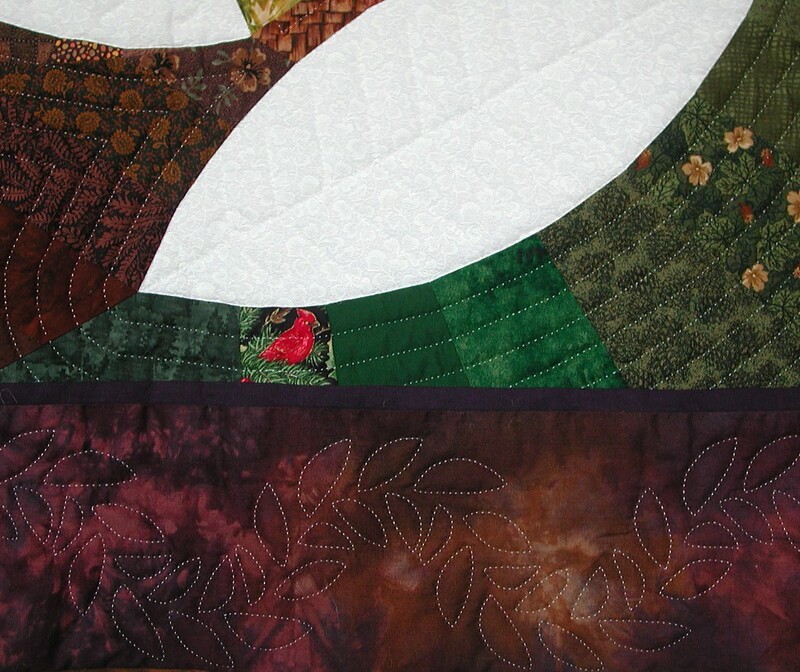 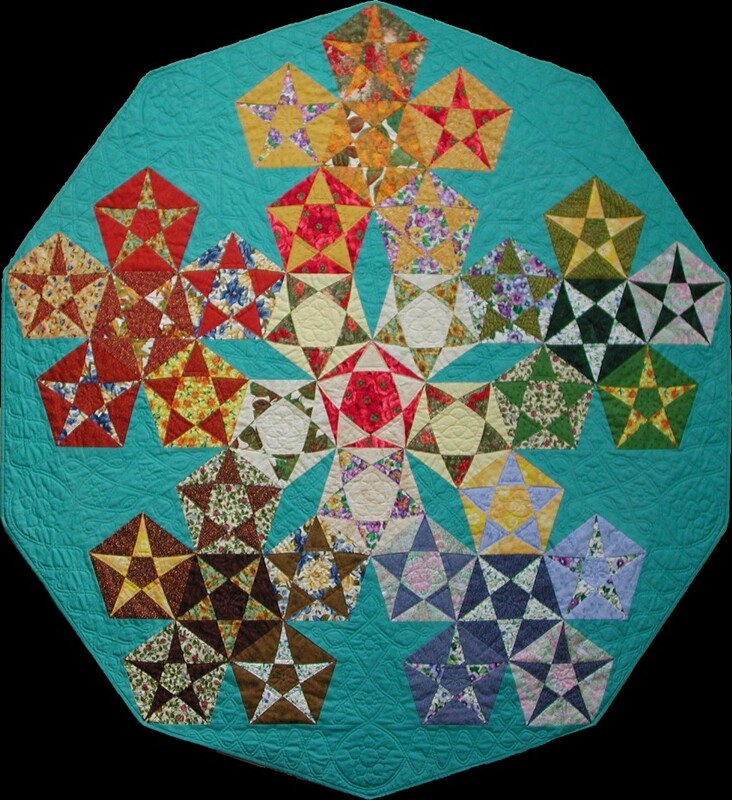 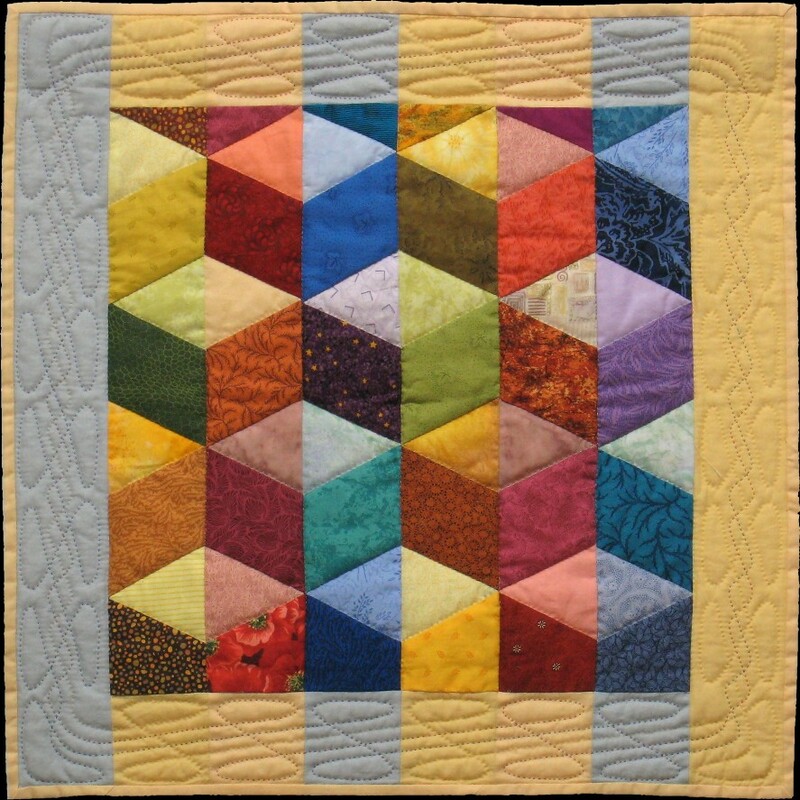 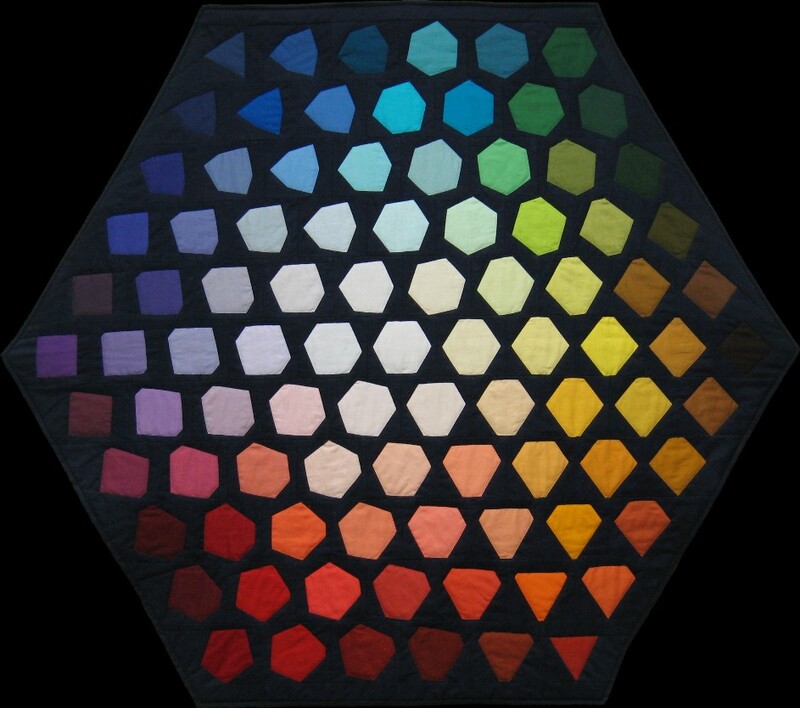 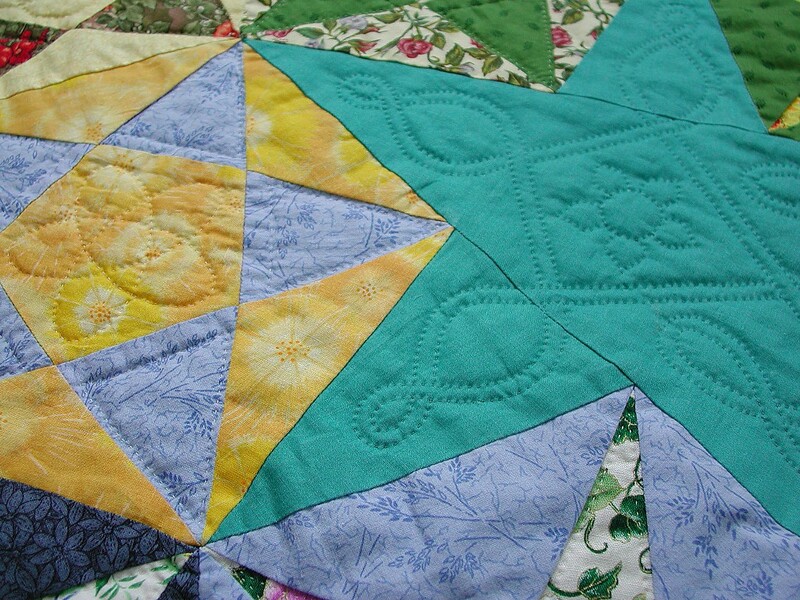 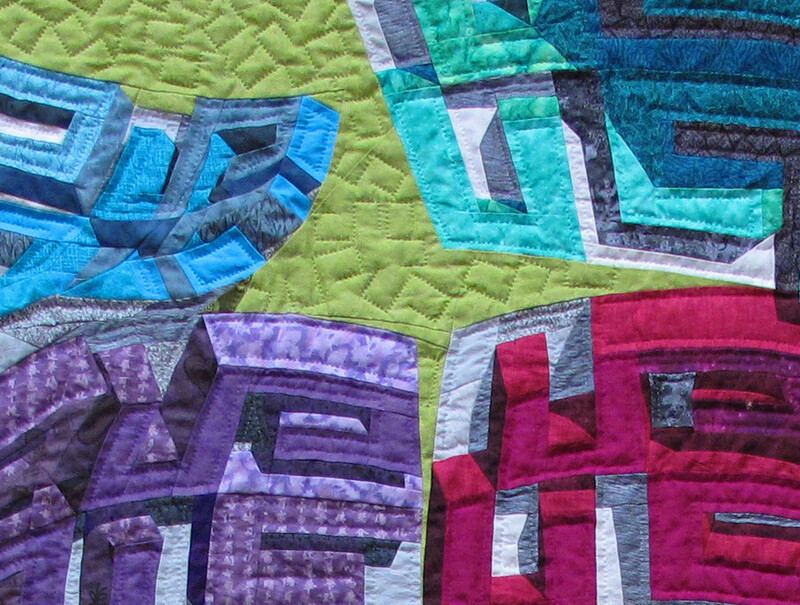 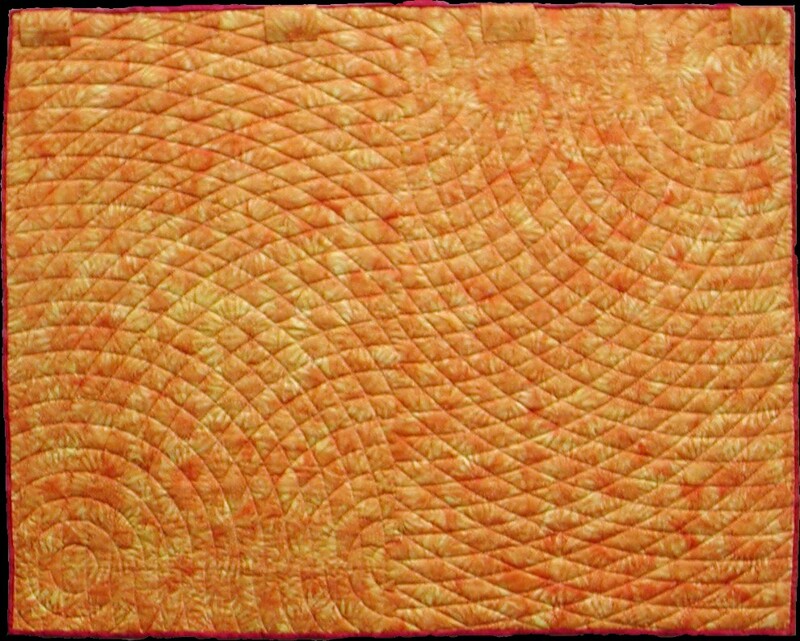 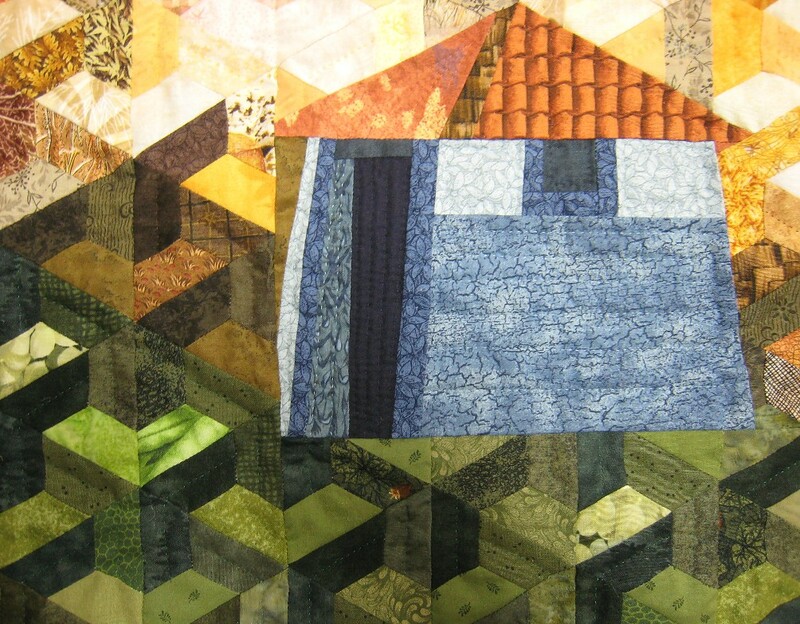 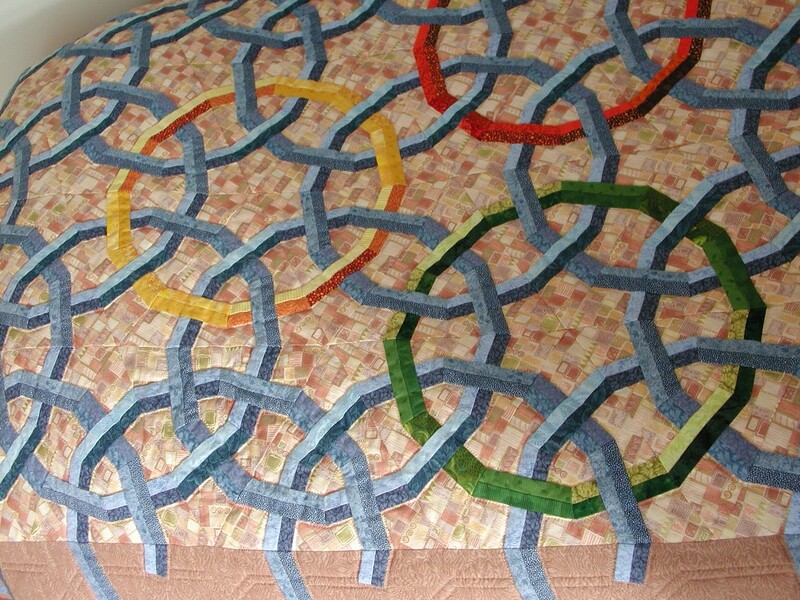 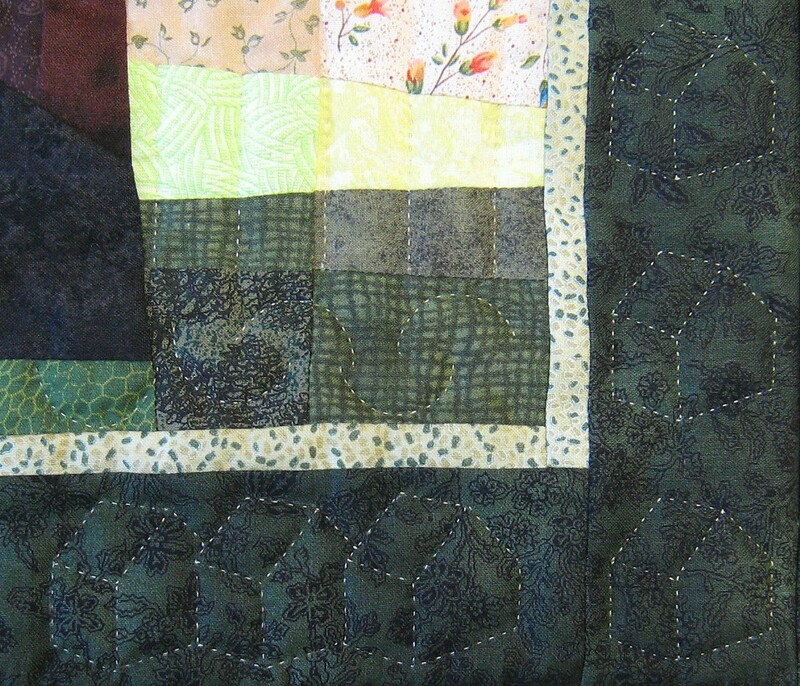 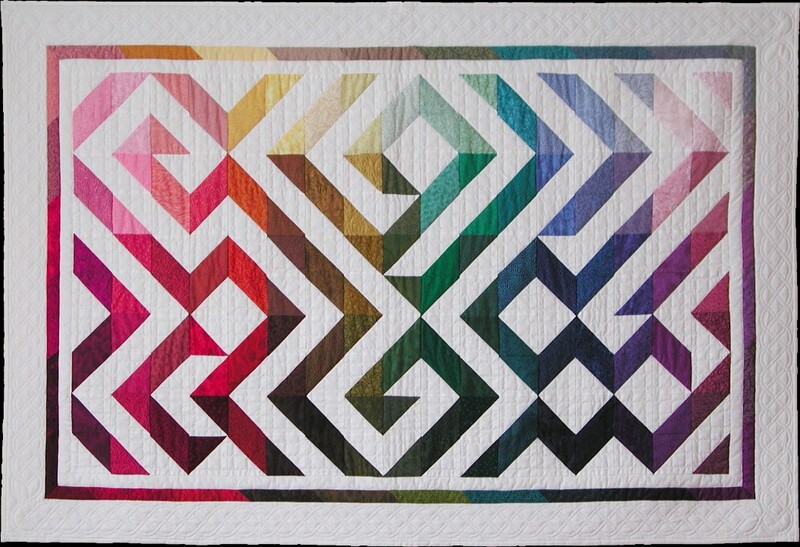 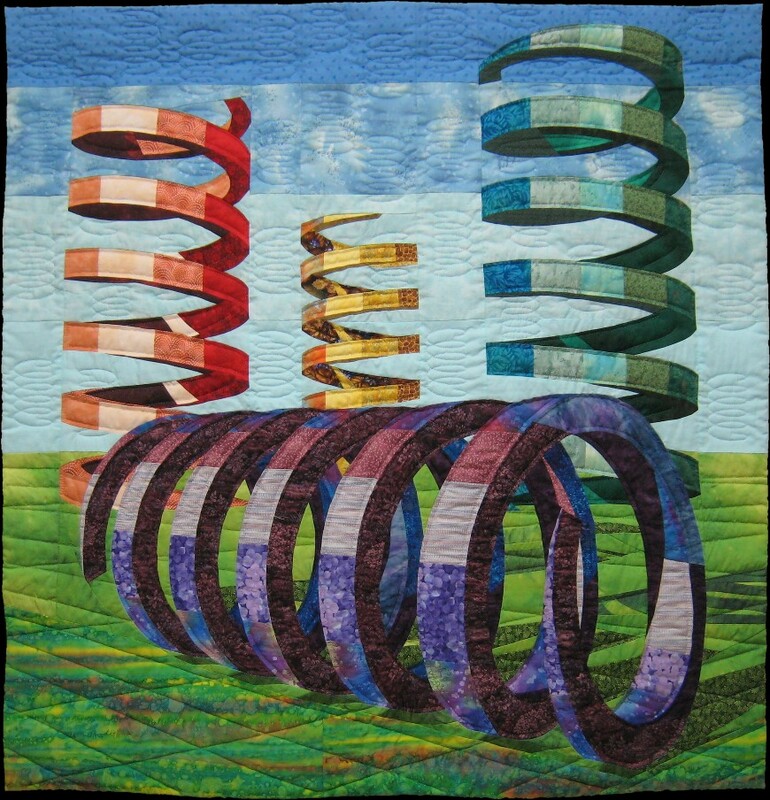 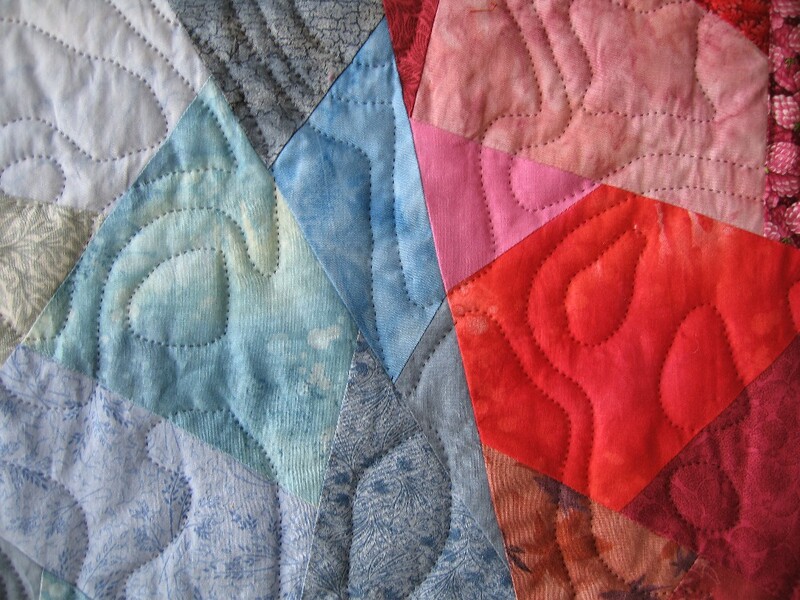 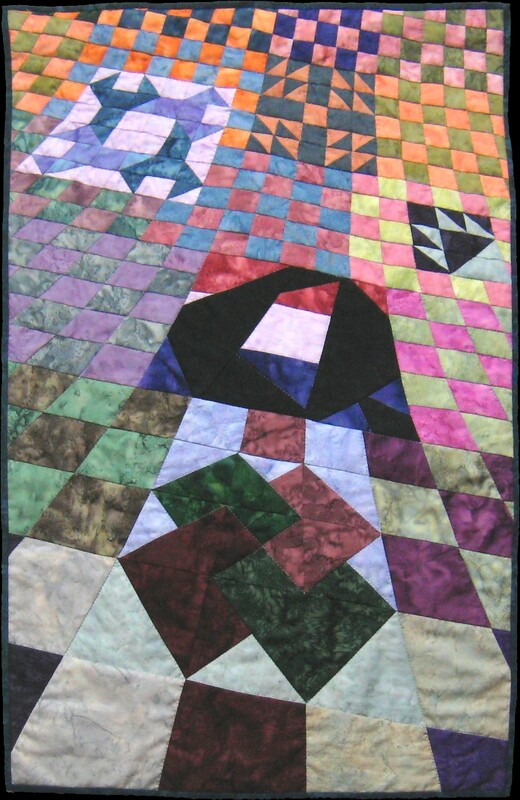 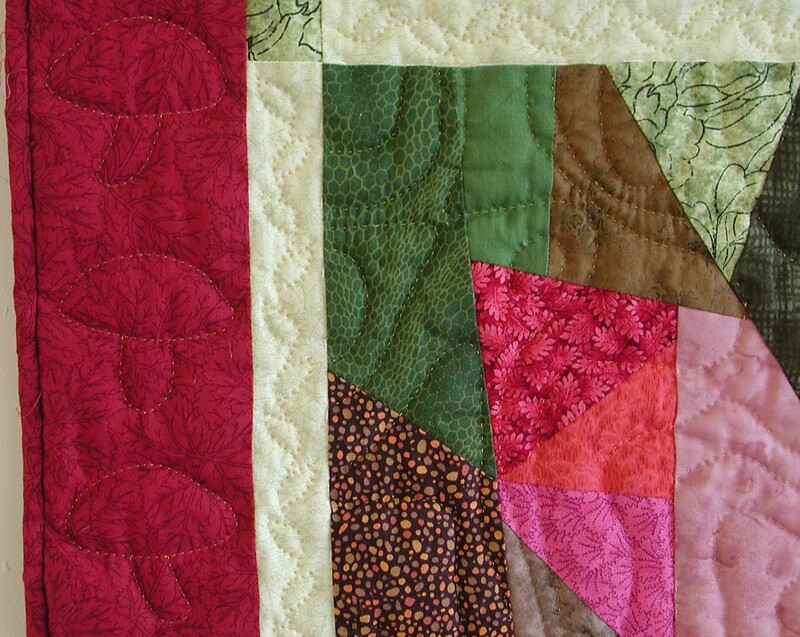 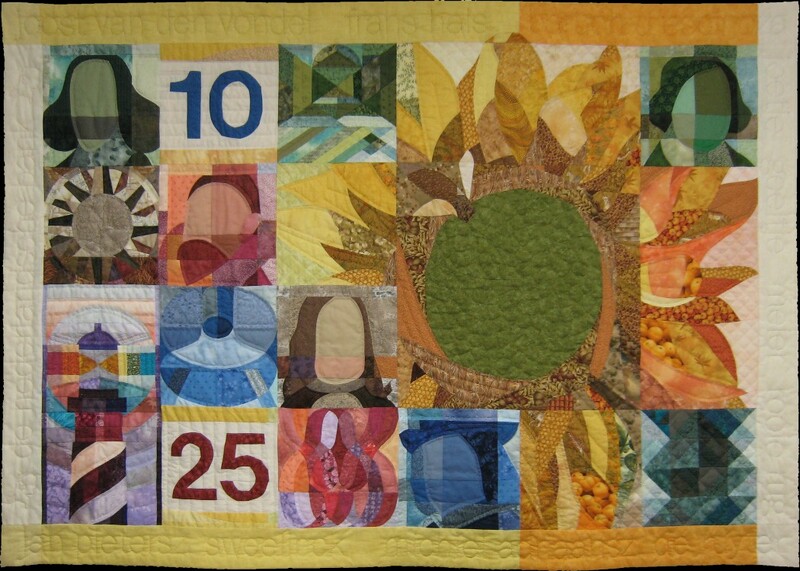 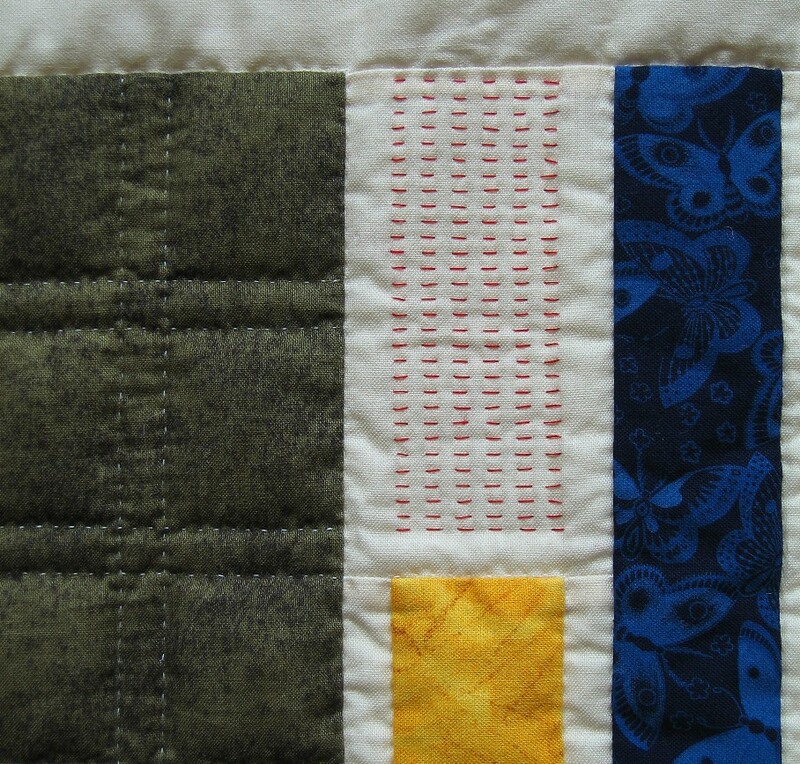 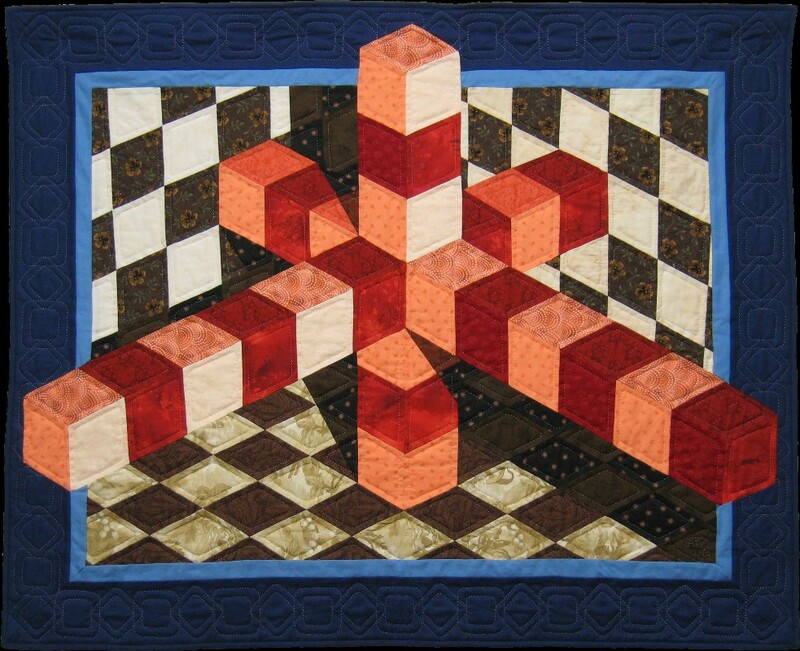 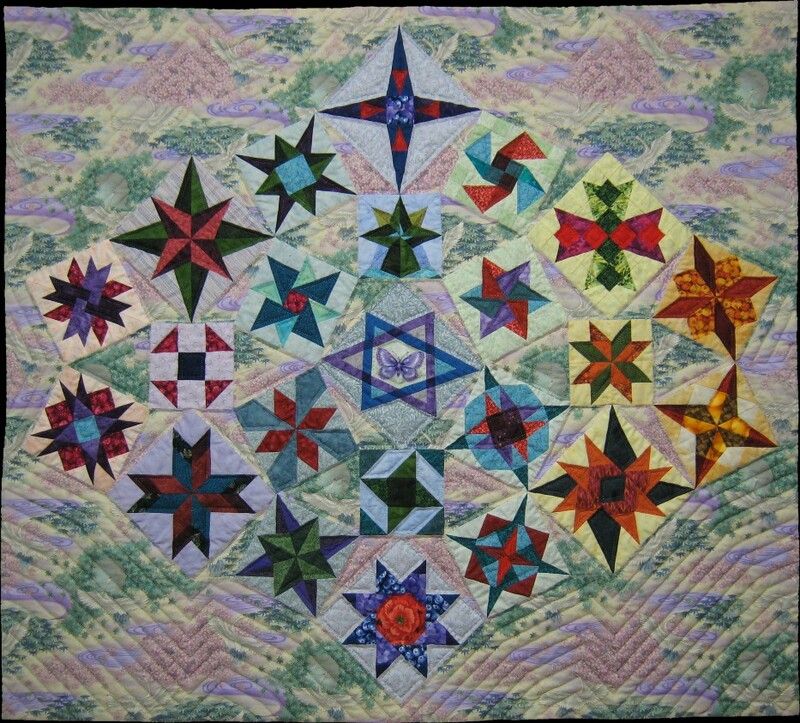 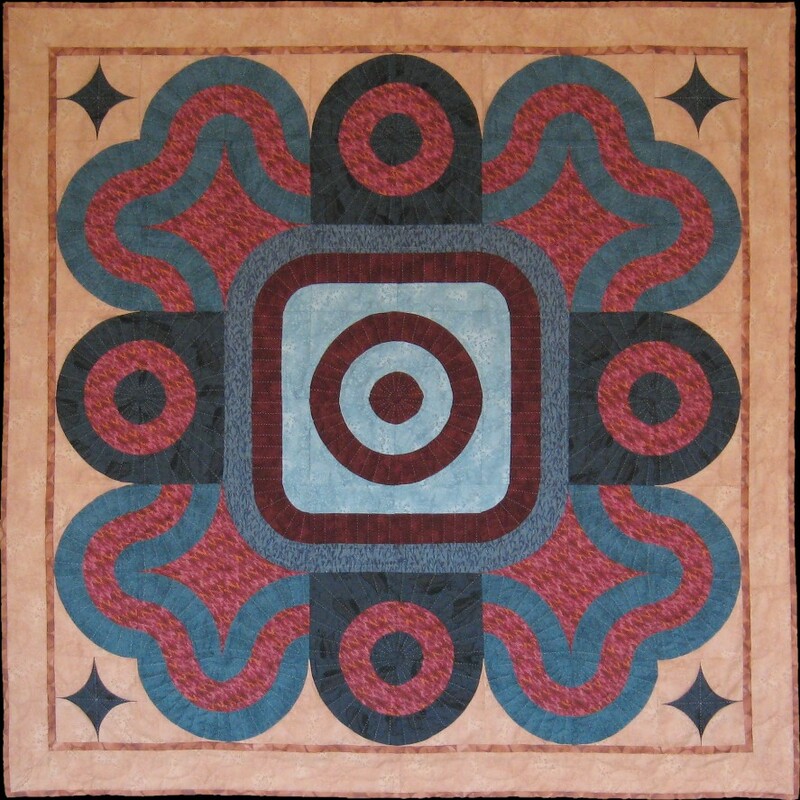 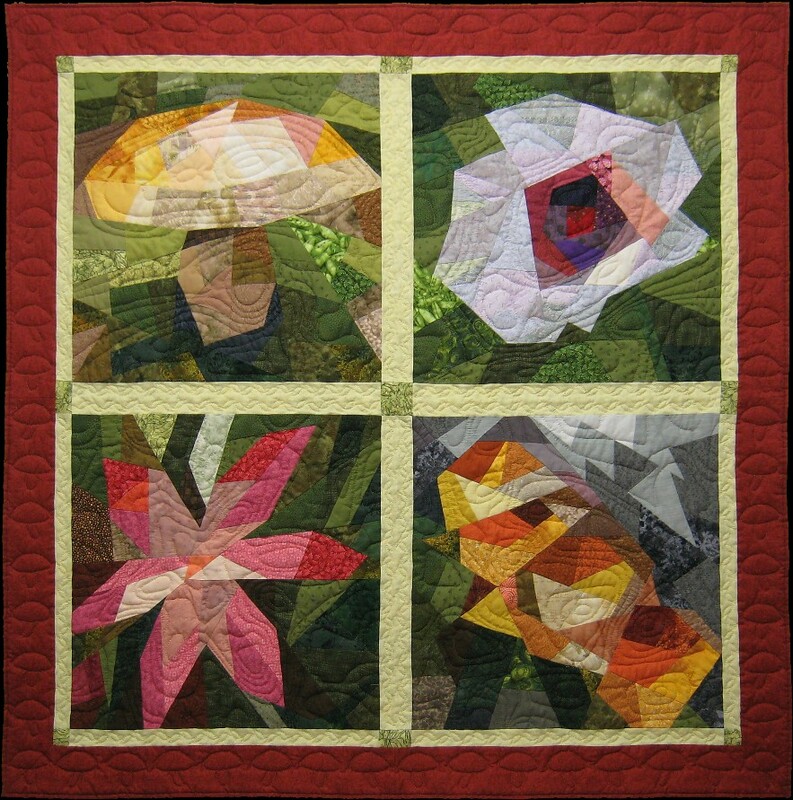 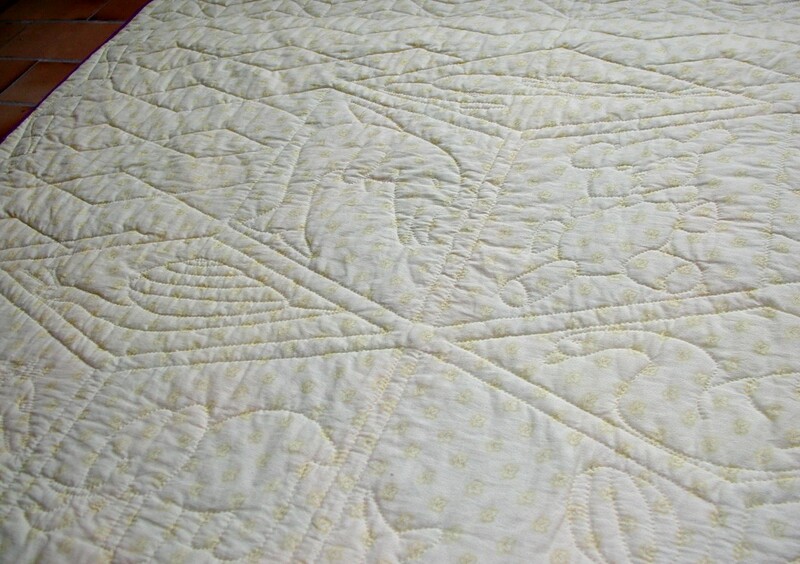 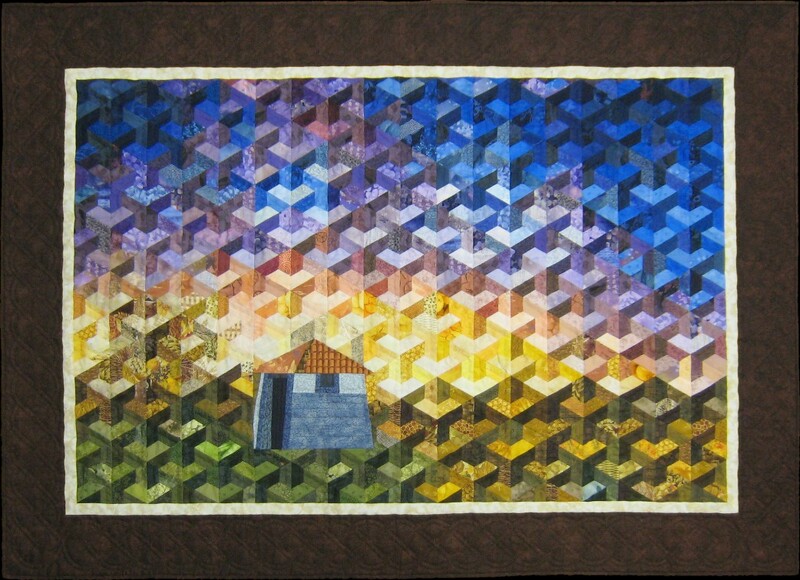 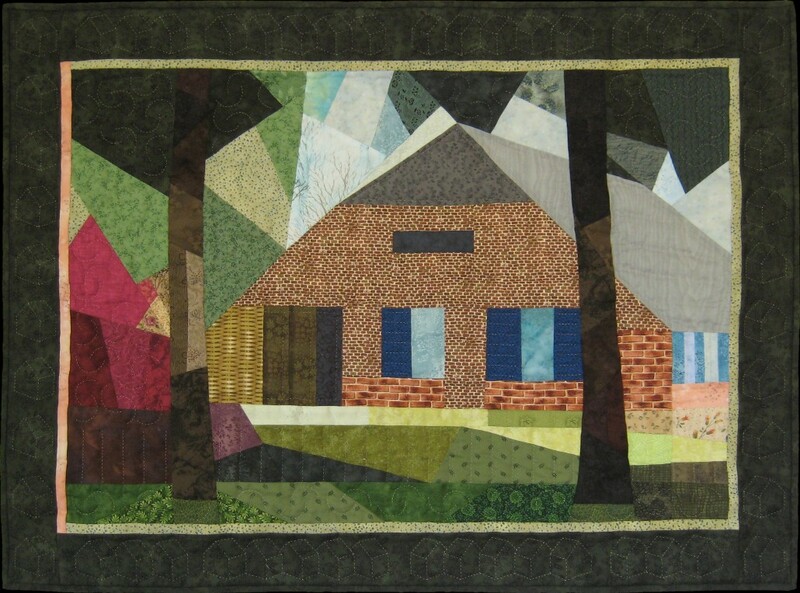 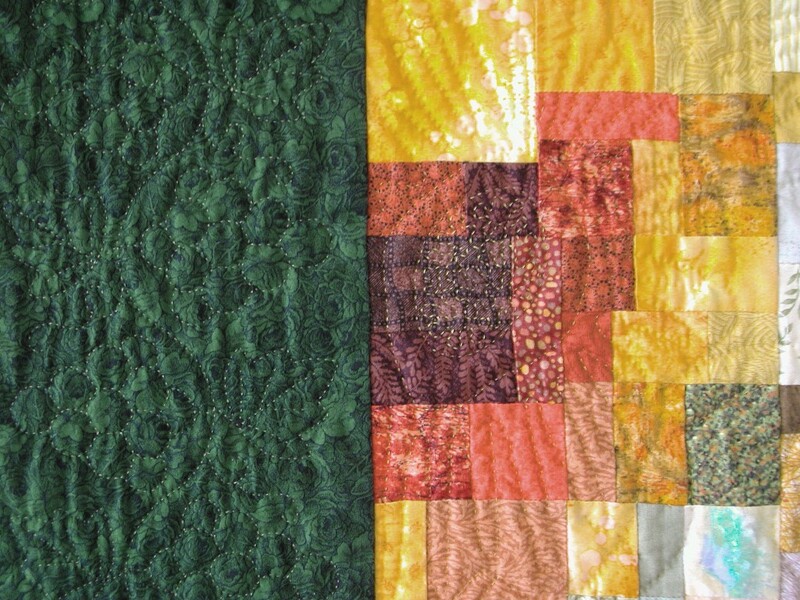 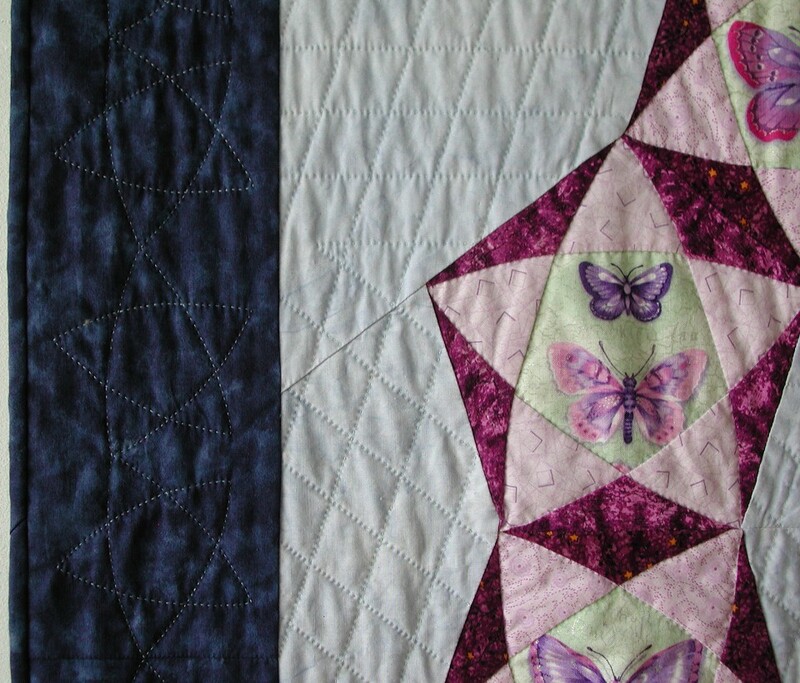 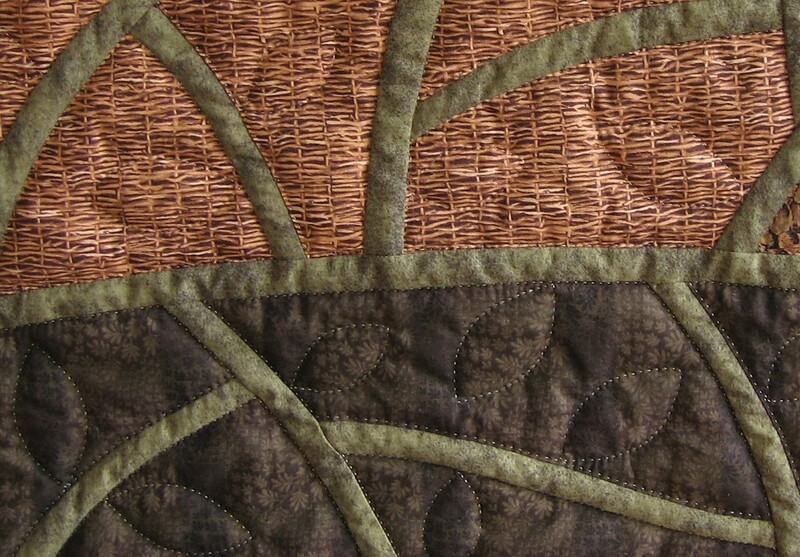 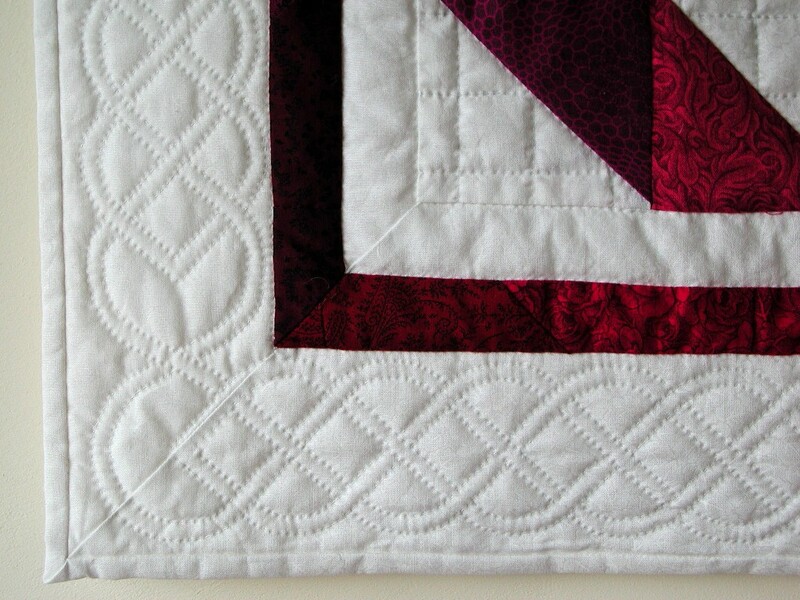 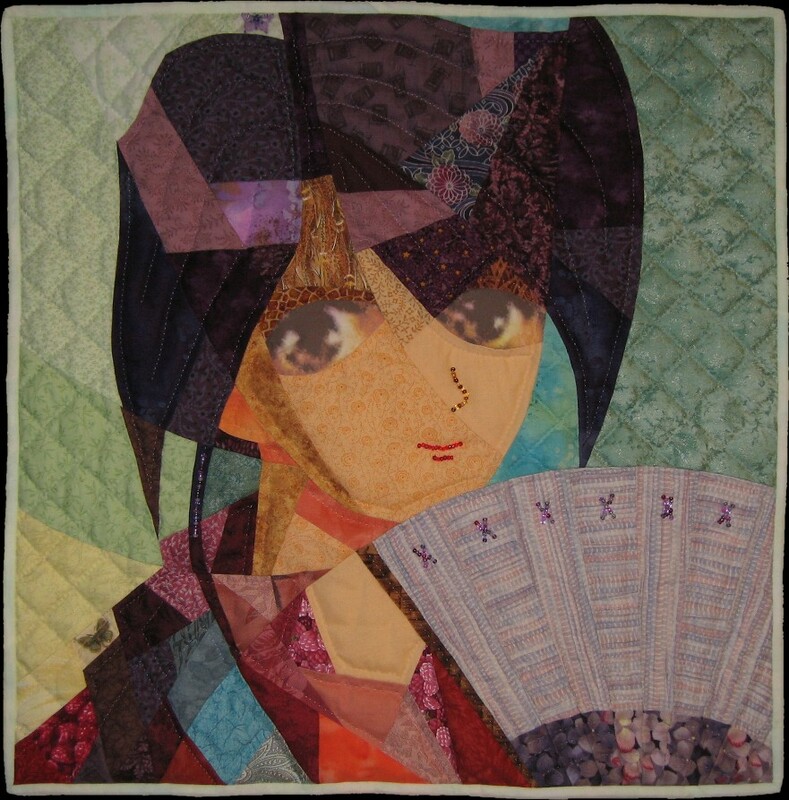 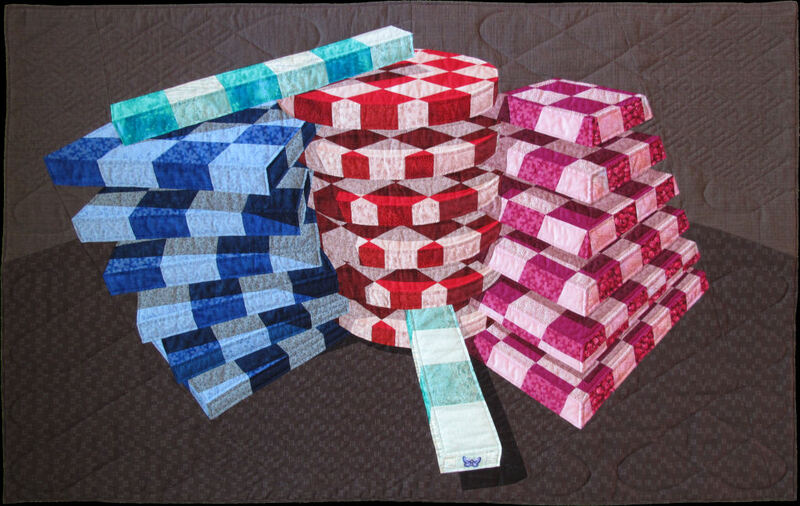 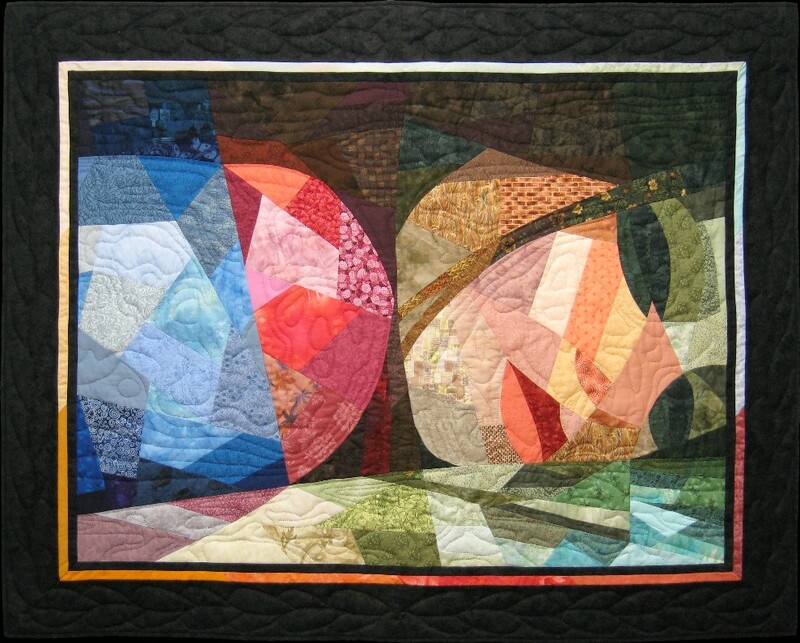 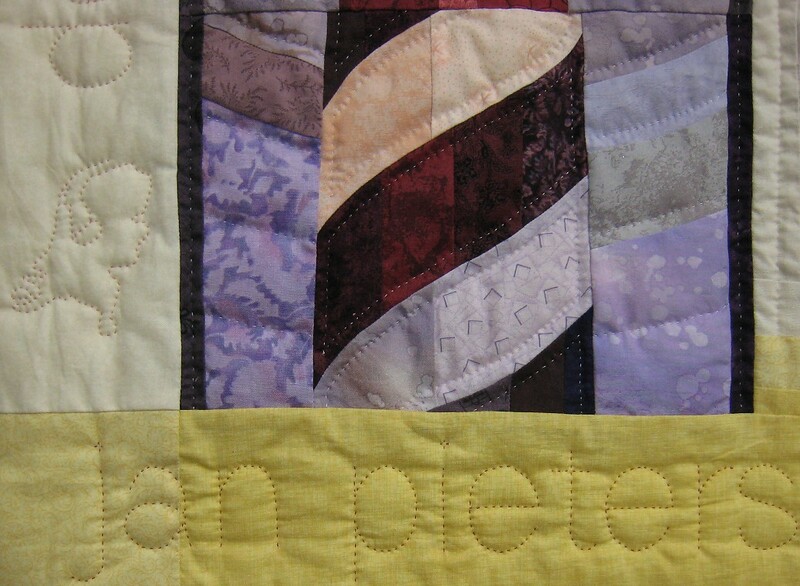 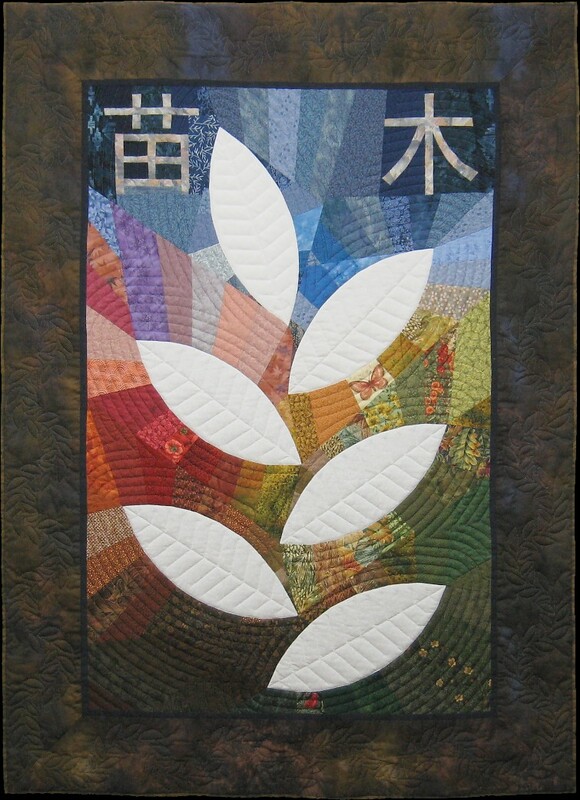 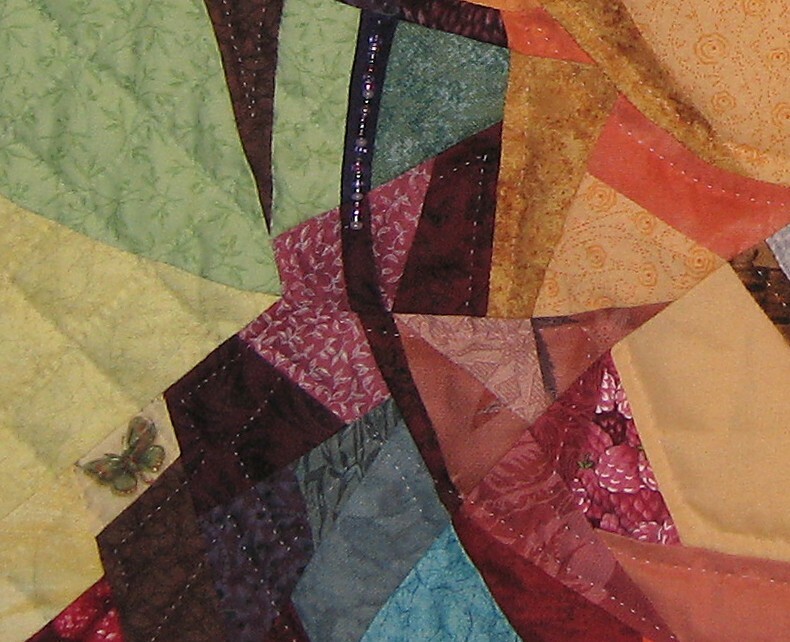 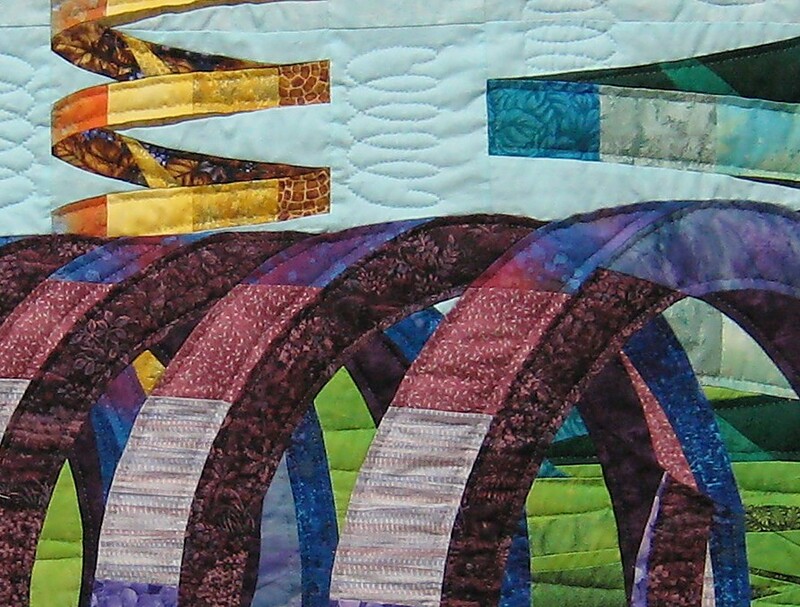 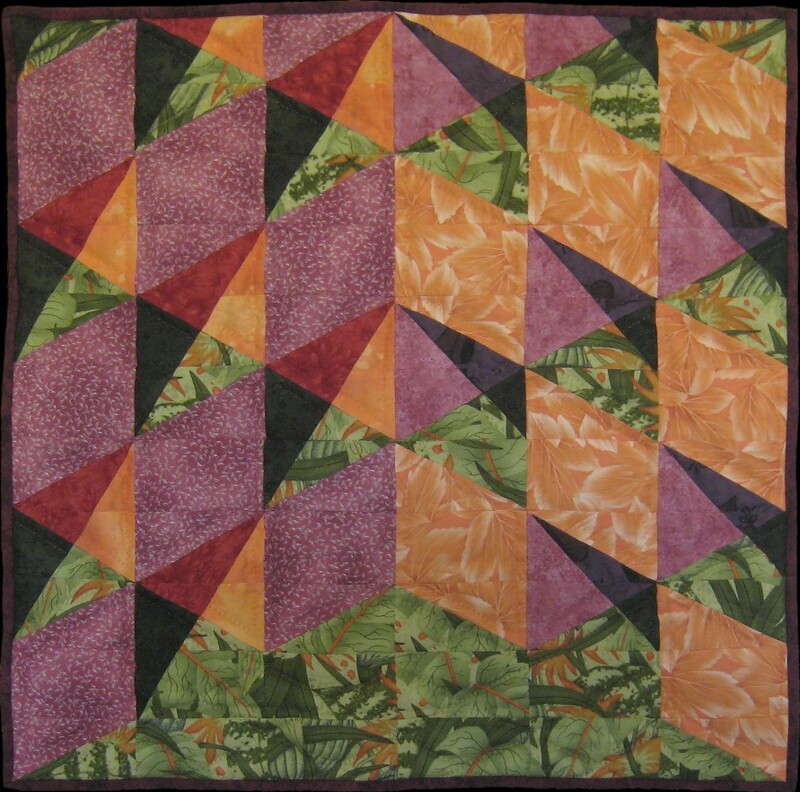 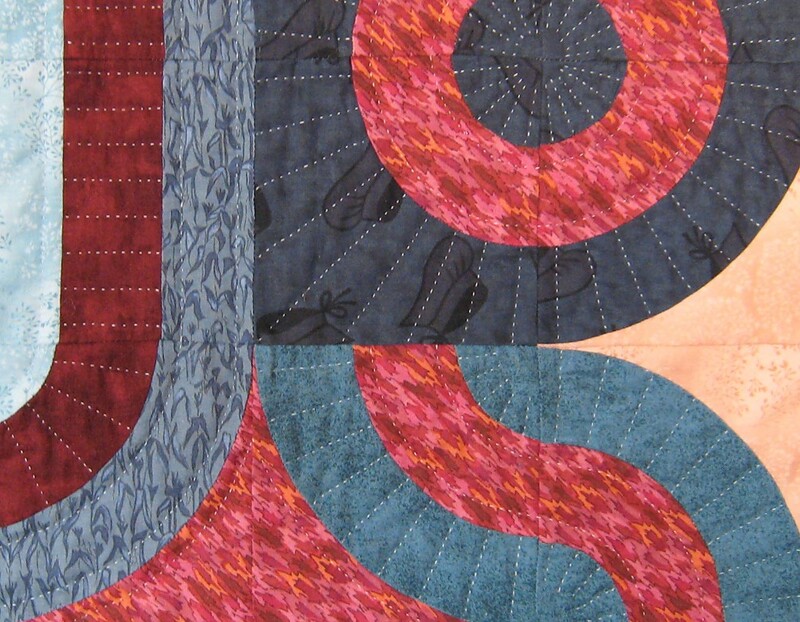 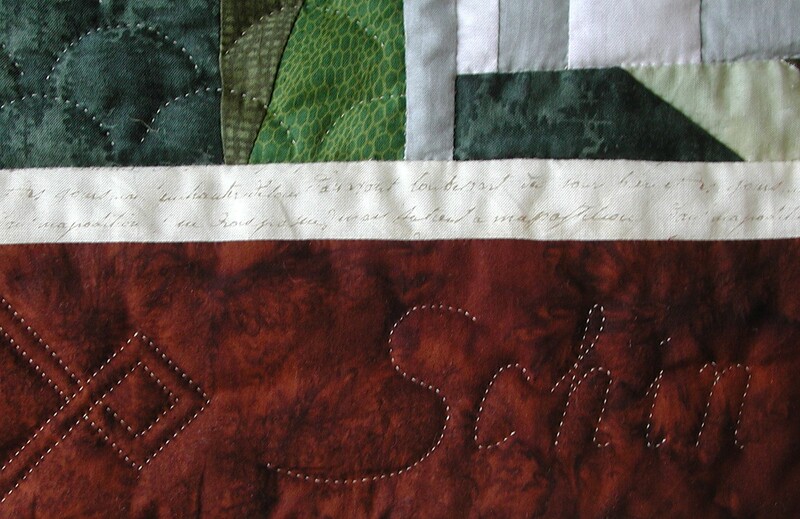 The edges of the pieces follow the direction of the quilted circles. 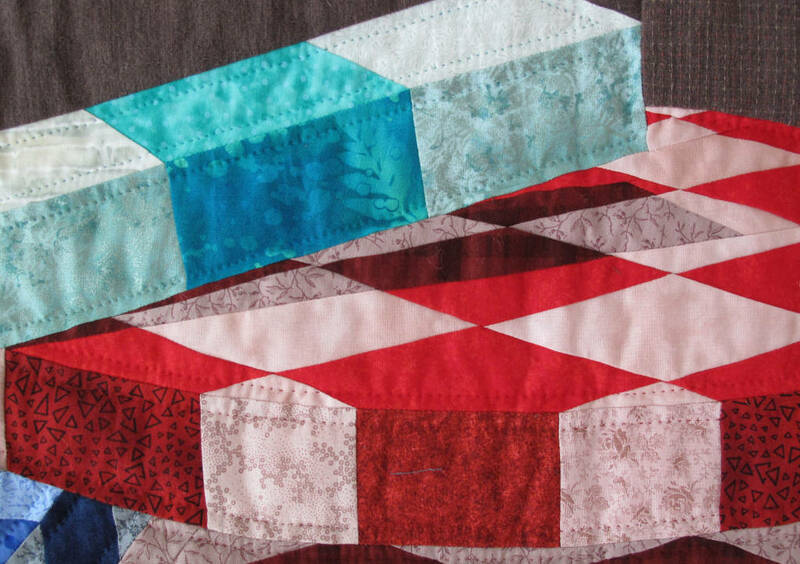 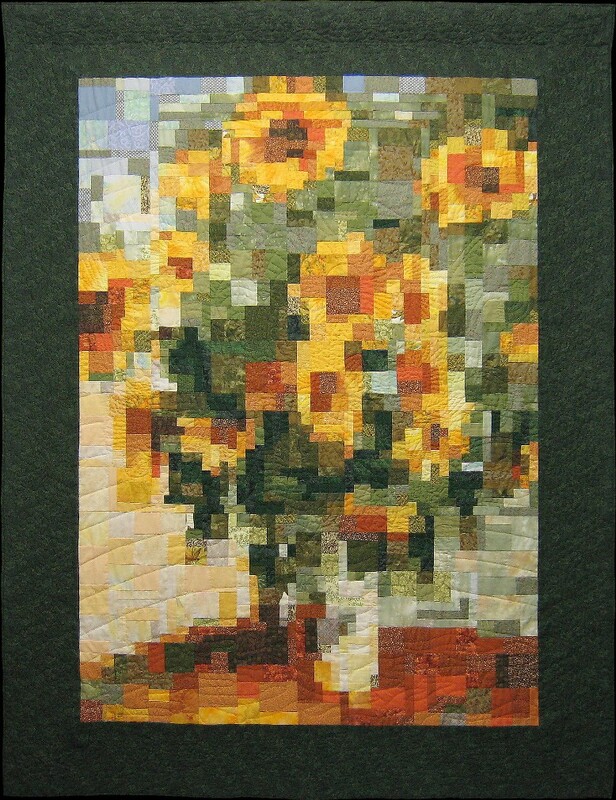 I used the 50 fabrics from the packet for the center, even though it only contains 6 x 8 squares. 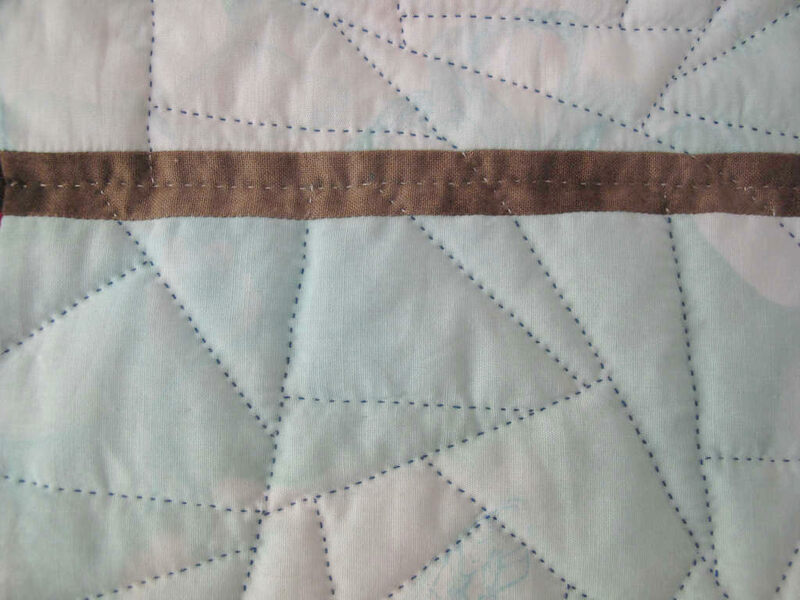 If you are really bored you can try to find out where the symmetry in the design is broken because of this. 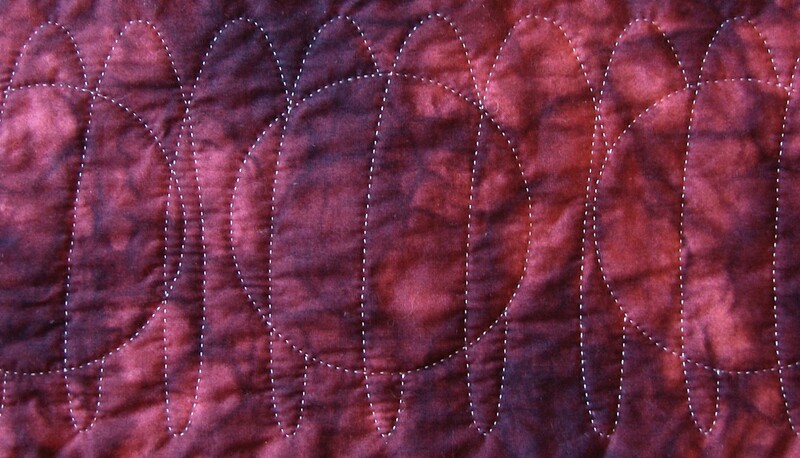 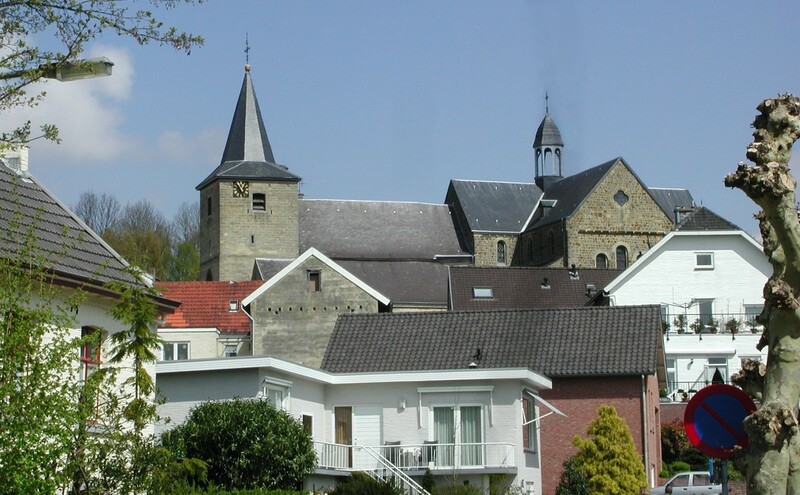 Back side.